Terrorists attacked sites in France, Tunisia and Kuwait on Friday, leaving a bloody toll on three continents and prompting new concerns about the spreading influence of jihadists. 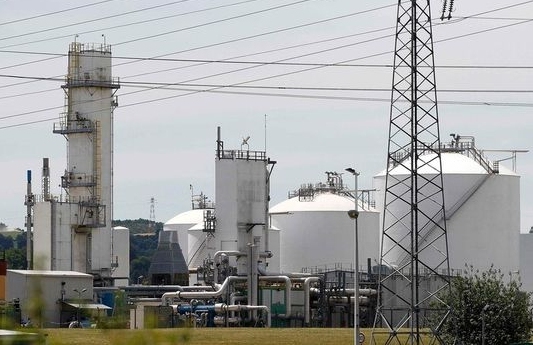 In France, attackers stormed an American-owned industrial chemical plant near Lyon, decapitated one person and tried unsuccessfully to blow up the factory, in what French authorities said was a terrorist attack. In Tunisia, gunmen opened fire at a beach resort, killing at least 27 people, officials said. At least one of the attackers was killed by security forces. And the Islamic State claimed responsibility for an explosion at a Shiite mosque in Kuwait City. Local news reports said at least eight people had been wounded. ...[T]he quick succession of the attacks raised the possibility that the Islamic State, which has seized control of territory in Iraq and Syria, has successfully inspired sympathizers to plan and carry out attacks in their own countries. The Tunisian shooters are still at large, says Sky News. whose editors manage to detail the facts as they are currently known without once mentioning the word "terror". The Kuwaiti outrage - on a house of worship, and with at least 10 dead (something the NY Times people did not mention) - is reported by BBC News without once mentioning the word "terror", as well. 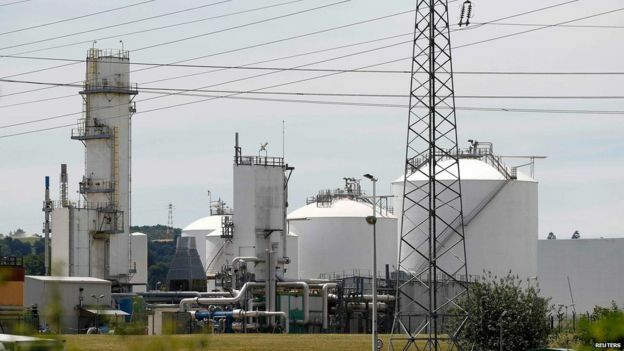 The beheading and attempted explosion at Liquid Air's plant in France, and the identification of the man arrested at the scene ["The suspect has been named as Yassin Salhi, 35" which leaves us wondering whether he's the racist thug of the same name in this 2012 news item] are reported by Independent UK without once mentioning the word "terror", or the word Islamic, Islamist, Moslem, Muslim or any other word connoting any religion, great or small. Very well done, chaps. Does being non-judgmental in your precious manner mean we're winning this war?